Cheers to a Gorgeous Life! 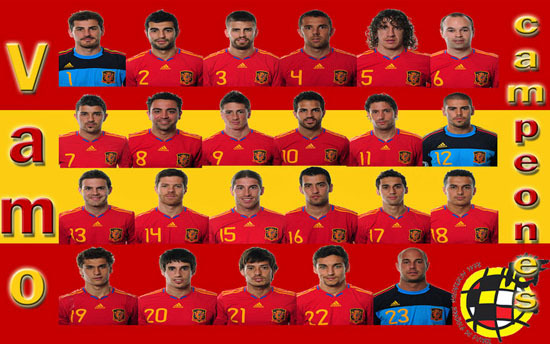 : La Roja (Spain) FTW! I've gotten enough sleep, 10 hours to be exact, ready to witness Spain hoist their first World Cup trophy. It is not going to be a walk in the park. Oranje will give them a difficult time for sure no? But Spain's time has come. I can feel it! Watch history unfolds - both teams haven't won a World Cup in the past, so expect a blood bath! 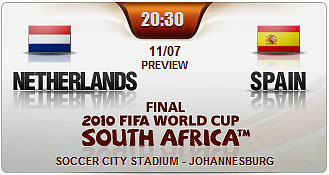 - the 2010 World Cup Final live on Studio 23, later at 2:00 AM.